Monday night offered up plenty of exciting basketball action, and there is plenty more where that came from this week if you are looking to place a number of basketball bets during this festive week. The NBA is known as being the home of sports in the US this week, there are even games lined up for Christmas Day, so if you can find some space for basketball in between the turkey and crackers, you will be more than taken care of. The Hornets made sure it was a happy night in Charlotte, with a 110-82 win against the Nuggets. The Rockets grabbed a major win against one of the teams of the season so far, defeating the Trail Blazers by a score of 110-95. The Mavericks were narrowly downed at home by the Hawks, losing out by a score of 102-105. The Warriors continued their strong form, defeating the Kings by a score of 128-108 and the Bulls grabbed an impressive home win, defeating the Raptors by a score of 129-120 in Chicago. The Grizzlies slumped to a home defeat against the Jazz with the men from Utah picking up a 91-97 win. The reigning champs also bagged a home win, defeating the Spurs by a score of 125-118 in San Antonio. The Celtic carry a 10-15 record so far this season, with a 3-7 record when they travel from Boston. The Magic hold a 10-20 record, which includes a 3-8 record at home. Neither team has form to boast of coming into this campaign although the Celtics can offer a 3-2 record in their last five games while the Magic provide a 1-4 record, which includes losses in their last four games. The Celtics had a number of debutants in their team on Sunday in the loss in Miami with Brandan Wright, Jae Crowder and Jameer Nelson all arriving from Dallas. The 100-84 loss against the Heat was disappointing after three straight wins but perhaps not a surprise after quite a turnover in the team in the few days leading into the match. The Magic need to get back to winning ways, particularly after an embarrassing 88-96 home defeat to the lowly 76ers on Sunday. Brandan Wright and Jae Crowder, who came over with Nelson from Dallas, also made their Boston debuts Sunday. Wright had six points and three rebounds in 13 minutes while Crowder didn’t score in seven for the Celtics (10-15), whose three-game winning streak ended after they shot 39.8 percent in their lowest-scoring game of the season. There are not too many injury worries for either team going into this game with James Young and Marcus Smart being slight doubts for the Celtics while Orlando will be keeping a close eye on Willie Green. Taking the Celtics with a handicap of +2.5 at odds of 1.90 sounds like a safe bet in a game between two teams who aren’t showing sparkling form. Bet Now! The Bulls hold an 18-9 record coming into this match-up, with a 12-4 record away from Chicago. The Wizards currently have a 19-7 record and a 13-3 record in Washington. 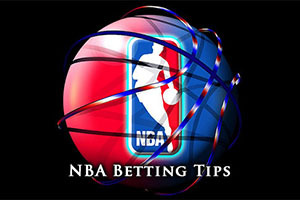 The Bulls have triumphed in their last three games while the Wizards lost out in their last match. Both teams hold a 4-1 record over their last five games. John Wall has been in strong form this season but he had a poor game on Sunday night, only grabbing 14 points, as the Wizards 6 game winning run came to an end as the Suns won 92-104 in Washington. Jimmy Butler has shown improved form for the Bulls this season and he was sparkling in the win against the Raptors on Monday. The score was 129-120 in Chicago and Butler picked up 27 points in the triumph, which was the 6th win in 7 games for the Bulls. The Wizards are not doing too badly for injuries, only Paul Pierce and Martell Webster are causing concern but the Bulls have a lengthy injury list. Derrick Rose and Tajk Gibson have been causing a great deal of concern while Doug McDermott, Joakim Noah, Pau Gasol and Kirk Hinrich are all being monitored closely in the build-up to this game. 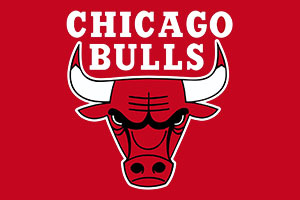 Taking the Bulls with a +3.5 handicap, at odds of 1.90, should ensure you have an interest into late on in the game. Bet Now! The Pelicans come into this game with a 14-13 record, with a 6-9 record away from home, while the Pacers hold a 9-19 record, which includes a 5-8 record in Indiana. Both teams won their last game coming into this match while the team from New Orleans has a 3-2 record form their last five games while the Pacers hold a 2-3 record. Anthony Davis had a big night on Sunday, grabbing 38 points in the Pelicans 99-101 win at the Oklahoma City Thunder. The Pacers have lacked consistency when going for points this season but on Sunday night in Minnesota they achieved a season best 50.0% in shooting in their 96-100 win. Tyreke Evans is being monitored by the Pelicans while George Hill is a major concern for the Pacers while CJ Watson will be closely monitored. This is likely to be a close affair but taking the Pelicans with a handicap of -1.0 at odds of 1.90 should be a good way to boost your Tuesday night basketball betting activities. Bet Now!